Coppell senior Tariq Aman looks for an opening during the Cowboys’ game against Flower Mound on Jan. 8. The Cowboys return to District 6-6A play tomorrow night against Hebron at the Coppell High School arena. 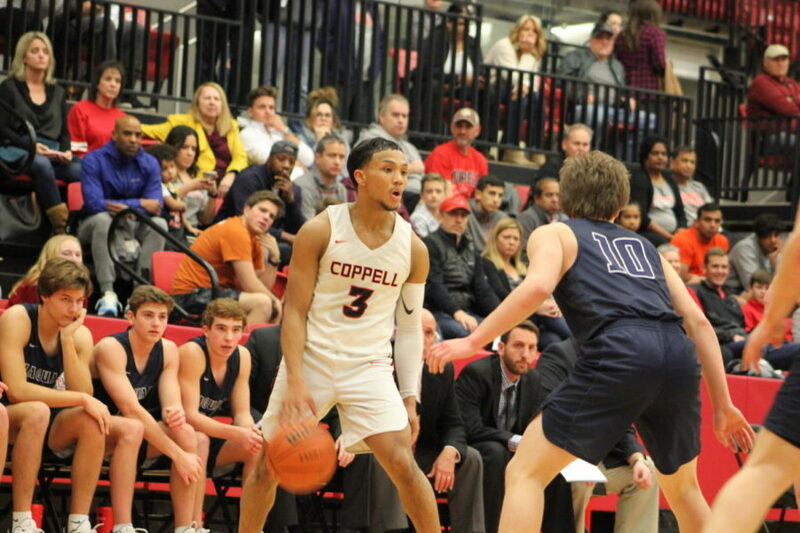 With a current undefeated district record, the Coppell boys basketball team plays Hebron at a home game tomorrow for its seventh District 6-6A match up. The Cowboys are not changing their preparation methods or mindset entering Friday’s game. Players know what to expect with the ample preparation the coaches have provided — in the form of film or otherwise. A running trend with the Cowboys is a tendency to take their time on offense. However, based off the previous game against Irving MacArthur, time is a luxury they cannot afford. 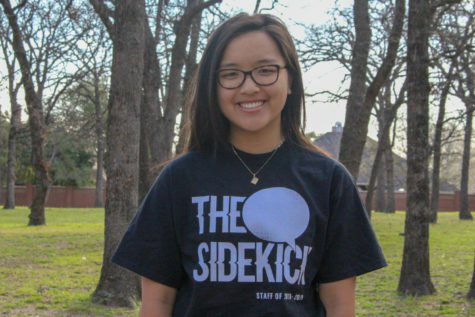 “In the last game, we struggled and got sped up by our opponent, and we know that Hebron will want to push the pace this game,” Kryzak said. Tipoff is at 8 p.m. Friday in the Coppell High School arena. 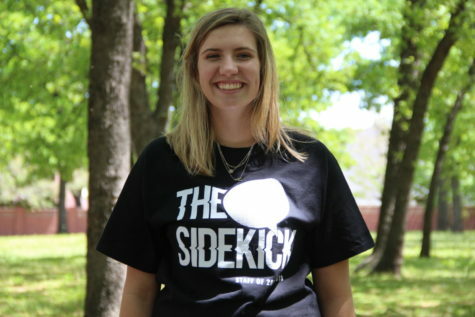 Follow the action on Twitter @SidekickSports.